Little things make a world of difference! I love this photo of a child cleaning the path in front of his house. It was taken by Anthony, one of the youth in our programs. It reminds me of the importance of caring about the little things – and little ones – that often go unnoticed. Ironically, it’s the little things in life that can make the biggest difference, good or bad, over time. What we say and do makes an impact on others. Through our projects, we strive to encourage youth to be a positive influence in their world. To understand that a big part of developing their own potential is in how they treat and care for others along the way. Anthony is such an example. 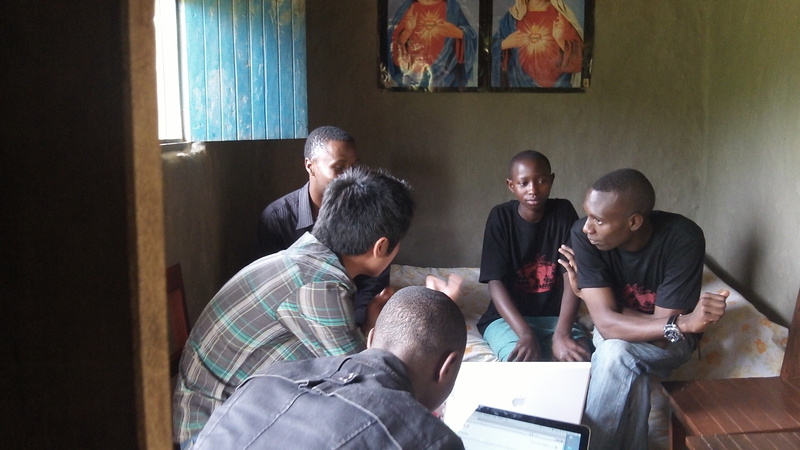 After the first camp (in 2010), he went on to start a peace club back in his village – Club Unity. On any given Saturday, anywhere from 100 -200 of the club members meet at a local church. Most have grown up in child/youth-headed households. They have become known in the community – even asked to help resolve difficult issues, such as a recent land dispute. This past November at our second annual peace camp, Anthony and several other youth gave presentations on the peace clubs they have started. They shared their plans and progess as well as the challenges they continue to face. Top of the list was the need for more training and opportunities like the peace camp where they can meet, share and learn from each other. We have started planning for peace camp 2012! After peace camp, Johnny Lam (a documentary photographer and partner of A Peace of Life) and I were thrilled to spend a week with Anthony and his family and the gafotozi back in the village where we held our first photography workshop. While we were there, we also had the chance to meet with the new peace club, Club Unity and hear of their plans which include expanding the savings and loan group they have started. Anthony and his sister, Princess, were among the first group of young photographers to be trained by Johnny – who has since launched Gafotozi (which means young or small photographer in Kinyarwanda) to promote peace and youth empowerment through photography. The Gafotozi continue to be mentored by one of our amazing local volunteers, Timotee, a young teacher who assisted in the photography workshop at peace camp as well as led a session on entrepreneurship. We look forward to posting more of the work of the Gafotozi throughout the year! 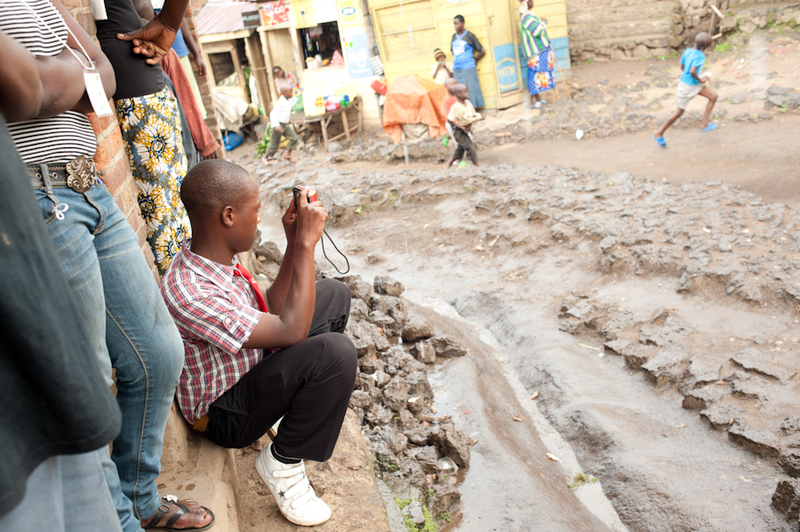 Sneak peak: A photo by Johnny Lam of the Gafotozi at work on their peace camp project – a multimedia presentation. Stay tuned for our premiere of this piece during World Water Day! In addition to photography, other workshops at peace camp included drama, film, sports for peace, community development and trauma/mental health. See more peace camp photos. 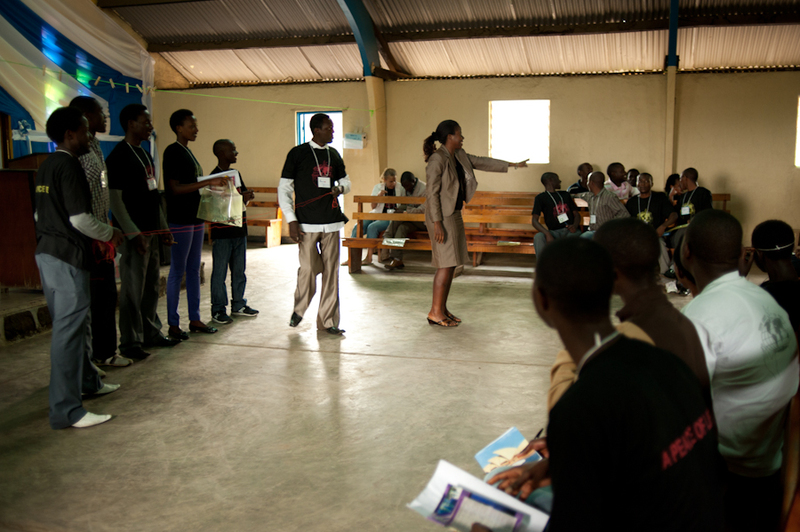 But the most powerful workshop at camp was the trauma/mental health session facilitated by Paulette Baraka. Olivier is an example. Like his friend Anthony, he has had to cope with the impact of AIDS on his family. He dropped out of school to work and help support his mother, a widow who is HIV positive. He recently started his own small business and is one of leaders of Club Unity. He is also one of the youth trained as a Gafotozi. His first photo essay was on the impact of AIDS in the family. The gafotozi loved learning some computer and social media skills – thanks to Johnny’s training, wonderful donations of laptops and cameras, and the recent arrival of electricity in the village! We simply loved being with them and learning more about their daily life. We can’t say enough about their impact on us. They opened up their homes, and their lives. From early morning walks for water, to afternoons scrubbing the red mud off shoes, to hanging out late at night talking, we now have a deeper understanding and love for each other. It really is a privilege to work among these youth. They inspire us. We’re proud of all that they have already accomplished. Their energy and hope is contagious as they persevere in the midst of big challenges. We hope they inspire you too. We are now working with Paulette to develop and provide a workshop on trauma & counselling for youth. We hope to offer it to Anthony, Olivier and Club Unity in March, in the weeks leading up to the National Commemoration of the Tutsi Genocide, a time when much trauma and painful memories resurface. We are also planning for the next peace camp to be held later this year and continuing to help fund and promote some of the events and media in the works by our local partners and youth peace catalysts. 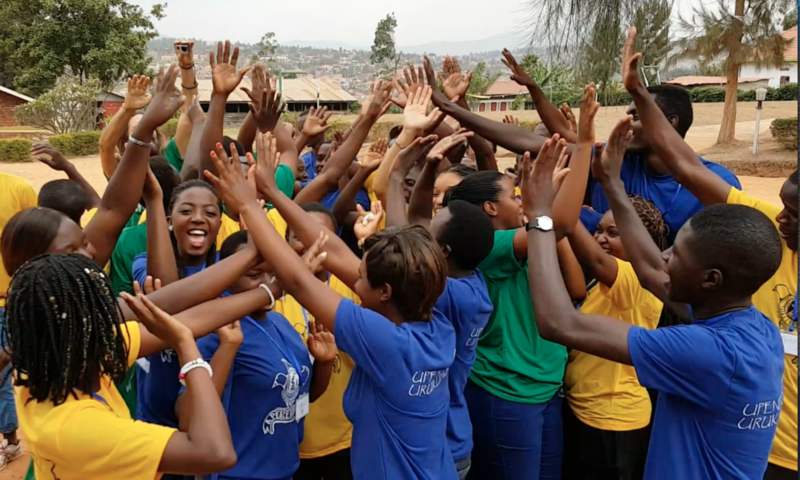 Please make a donation today and help to support us in all of the little things we attempt to do this year among all these courageous youth in Rwanda. Together, we are making an impact! Heartwarming to see the progress of the work amongst the youth. 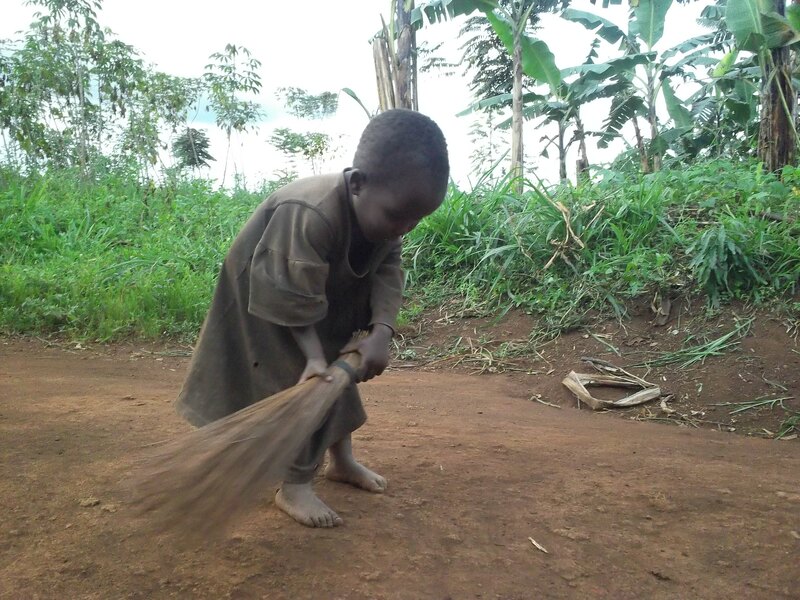 The photo of the child sweeping the path is especially poignant – challenges us to ‘get off our butts’ and get busy with the work God has given each one of us to do and also, to NEVER lose hope!